Are you Tired Of Black Hat Seo Techniques That Yield Little Results and could get you Banned In Google? HOW ABOUT A REAL SEO CAMPAIGN THAT COMBINES REPUTATION MANAGEMENT? Higher Rankings For your Web site In search Engines. 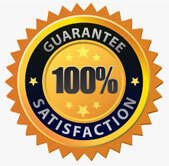 We Guarantee Monthly Work Deliverables! You Can Truly Put this service on Autopilot For Your Business. We Keep Working Month in And Month out And Record All Work Progress. Each Month Is Different! WE REQUEST INFO ABOUT YOUR BRAND AND NICHE TO START THE CAMPAIGN. AFTER THAT WE ARE GOOD TO GO! The Project Manager Begins Launching The New Sites And Uploads All Posts. The Project manages Creates a Premium Repumatic Account For your business and sends You the Login Information For Your Records. THE PROJECT MANAGER ADDS LINKS ON THE NEWLY CREATED SITES TO A MIX OF URLS SUCH AS YOUR DOMAIN, SOCIAL MEDIA ACCOUNTS, AND POSITIVE PRESS. The Project manager Briefs Our Editor On the Project. The Project Manager Briefs The Data Entry Team On the New URLS Created. Each Month The Editor Assigns A team Of professional Writers to create the necessary content Needed for your Campaign. The Data Entry Team Manually Back-Links The Newly Created Content From Social Media and Bookmarking Sites. The Writers Upload the Articles and Our Editor Checks Them For Quality, Uniqueness, And Grammer. The Project Manager Adds Remote Configuration to the newly Created Sites From your repumatic Account. THE PROJECT MANAGER RECORDS THE MONTHLY WORK IN A SPREADSHEET FOR YOUR RECORDS. The Project Manageer Adds Remote Configuration to the newly Created Sites From your repumatic Account.